The Mighty Eighth Air Force Museum events for June 2011 are a summer camp for young kids and a family fun sleep over at the museum. On June 10th come to the Museum's 'Bunking In!' event. Learn what it would have been like to be a member of the Eighth Air Force during World War II; dinner and a mission briefing will kick off the night. Then experience the Museum at night with a unique tour by Rosie the Riveter, learn the techniques of a bombing mission, explore the combat gallery by flashlight and relax while watching a movie before bedtime. Reservations are required and spaces are limited in each sleepover night. Flying Legends Summer Camp is a half day or full day summer camp for kids 2nd grade to 5th grade. The June half day camp runs from June 20th - 24th, 9am-12pm. The full day camp runs June 13th - 17th, 9am-4pm. Cost for the half day is $60 and a snack is included. Full day is $150 with lunch and a model building included. Register today at education@mightyeighth.org or contact Heather Thies at 912-748-8888 ext. 106. Happy Memorial Day and Thank You to all of this nations great service men and women here and abroad. 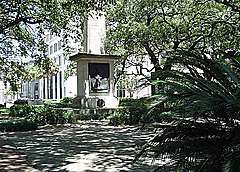 Come and stay in Historic Savannah for a family fun vacation with memories that will last a life time. Contact us today! Armed Forces Days on the River is Memorial Day Weekend, May 27-29, 2011 on the historic River Street of Savannah, GA.
Make your holiday weekend travel plans for the Savannah Riverfront for arts & crafts, Patriotic entertainment and fun for the entire family. This event is not a Savannah Waterfront Association festival, but is supported by the SWA by collaboration. Proceeds from this event go to the Georgia National Guard Family Support Foundation. Mark your calendars now to be in Savannah Georgia for this event and don’t forget to make your lodging reservations in advance at a premier Savannah bed and breakfast. The 2011 Tybee Island Beach Bum Parade of Tybee Island Georgia returns on May 20, 2011 for another one of-a-kind family fun event. Unlike most parades, The Beach Bum Parade might surprise the unsuspecting visitor. Yes, there are floats pulled behind cars and trucks and yes the occupants of the floats will be throwing things to the crowds along the street. But unlike most parades these floats, often trailers or boats, are filled with water-throwing paraphernalia. Spectators gallantly line up along the parade route on Butler Avenue, armed with buckets, squirt guns and hoses. What results is an all-out water war for fun loving beach bums of all ages. For more information, click here or call (912) 786-5444, toll free at (800) 868-2322. Do your vacation plans include a trip to Savannah? Make it a more special visit by staying at one of Romantic Inns of Savannah’s unique bed and breakfasts. The 2011 Annual Taste of Downtown Business Connection sponsored by Bank of America returns for this its 10th year on May 19th 2011 from 5:30 - 7:30PM. Join in the excitement by attending this annual event and enjoy networking with other Savannah Chamber members in the beautiful setting of Johnson Square while sampling the savory specialties of local restaurants and caterers. There is FREE parking in the Byran Street Garage, be sure to write the word "TASTE" on the back of your parking stub. For more information about the Annual Taste of Downtown Business Connection, contact Susan Smith at 644-6434 or SSmith@SavannahChamber.com. No RSVP is necessary to attend. Whether it is for business or pleasure, give one of our Savannah Inns a call or book online one of our many beautiful guest room in historic Savannah Georgia. The 35th Annual Savannah Scottish Games are here. Saturday May 7th beginning at 9am on the Bethesda Grounds overlooking the Moon River, 9520 Ferguson Avenue. Welcoming ceremonies begin at 12 noon with Closing ceremonies at 4:30 pm. The Savannah games are the 4th oldest Scottish Games in the Southeastern United States. The Games allow the visitor to enjoy the sounds, tastes, and visual images that Highlanders experienced as early as 100 AD. Come join a grand celebration of Scottish culture with competition, entertainment, shopping, activities, and refreshments for the entire family! · Highland Dancers like to fling! The Fling is one of four dances that five age groups from throughout the southeast will perform as part of the 2011 USIR Highland Dancing Southern Regional Championships. This event is one of six regional competitions held in the United States. Come and see potential 2011 USIR Highland Dancing Champions! · Heavy Athletics are the original extreme sport – a power sport for power athletes! Men and women compete in seven events that hone the skills that a warrior needs. Come see the Caber Toss, Hammer Throw (and explosive event), Stone of Strength (Clackneart), Tossing the Sheaf and other events. 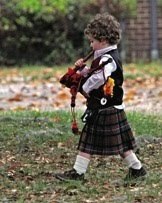 · Bagpipe bands and individual pipers come from all over the southeast to compete in the Savannah Games’ EUSPBA sanctioned competition. The piping competition hosted over 140 pipers at the 2010 games. The “mass bands” of the opening ceremonies parade all bands center field as a powerful representation of Scottish culture with music to officially begin the games. North America’s beloved Scottish folksinger, Alex Beaton will grace the entertainment stage performing three sets throughout the day. This quintessential entertainer delights audiences with his rich baritone voice, virtuoso guitar playing, and engaging stage presence. The entertainment stage will present traditional Celtic music throughout the day with the talents of the Savannah Ceilidh Band and Cynergy featuring Moira Nelligan. Moira is a distinguished touring artist of the Georgia Council of the Arts, and has been awarded their Traditional Arts Apprenticeship Grant as a master fiddler. Love Celtic art? The Scottish Market offers everything from bagpipes to cashmere sweaters, kilts to Scottish souvenirs, music, replica weaponry, jewelry and pottery. Taste traditional Scottish fare such as haggis or Scotch pies. Discover your roots in the Scottish Highlands by visiting the genealogy tent on Clan Row or visit the backbone of all Scottish Games, one of over 20 clan tents to learn more about their clan and Scottish heritage. The Savannah Scottish Games is a great way to study early Georgia History in a family-friendly setting. Clann Nan Con was formed in 1998 to give as accurate a portrayal as possible of the early Scottish settlers of Georgia. See their period clothing made of real Scottish tartan material and traditional weapons and accoutrements. Interact with Governor General of the Colony, James Oglethorpe, (Scott Hodges of Hodges, South Carolina), as he walks through the crowd offering historical account from past times and events which helped to shape our modern world. Watch Master trainer Bill Coburn’s Border Collies demonstrate their amazing sheep and geese-herding skills. Wee visitors to the Children’s Activities can try their hand at several pint-sized athletic activities including the tug-of-war, sheaf toss, caber toss, haggis hurl, stone throw, welly toss and sack race. The games are also honored to host a documentary crew from The Savannah College of Art and Design. They will be filming at this year’s games as well as at other games-weekend events to capture the essence of Savannah’s celebration of Scottish culture. · Friday evening 5 PM, May 6th at Molly MacPherson’s Scottish Pub & Grill. Tickets are $20 in advance or $25 at the door. · Friday, May 6th at 7 pm, Sponsors and Patrons gather for a formal event at The Savannah Golf Club. · On Sunday, May 8th, a Kirkin’ O’ The Tartans will be held at 11am at Independent Presbyterian Church on Bull Street. Highlander patriotism, faithfulness, and strong independence are remembered by the displaying of tartans and public parade of the clans to the sound of the bagpipe in beautiful historic downtown Savannah. On April 18 through April 24, 2011 the Liberty Mutual Legends of Golf Tournament was held at the Club at Savannah Harbor in Savannah, GA; a beautiful city boasting of Southern charm and old-fashioned hospitality. Liberty Mutual Legends of Golf is the tournament that sparked the creation of the Champions Tour, formerly known as the SENIOR PGA Tour, and it continues to showcase the greatest golfers of yesterday and today. The 54 hole, two man team tournament was won this year by the team of Mark McNulty and David Eger. The team won $460,000 for their efforts. The 33 year old tournament has been held here in Savannah for the last 9 years. Make plans to attend next year’s tournament or plan a golf vacation to include a round of golf at this fabulous course. Make it a more special visit by staying at one of Romantic Inns of Savannah’s unique bed and breakfasts.